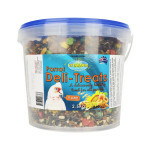 A deliciously healthy treat for all parrots. 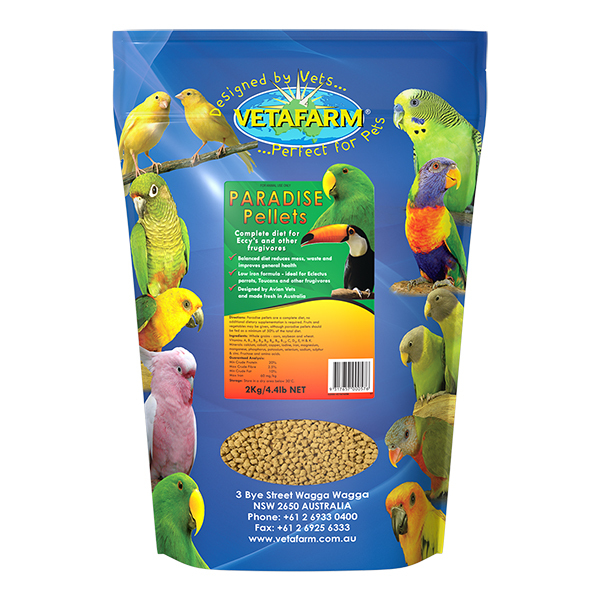 Contains a variety of high quality nutritional treats that provide stimulation to parrots. The ingredients also offer a wide range of nutritional benefits including omega oils, amino acids, vitamins, minerals and calcium. 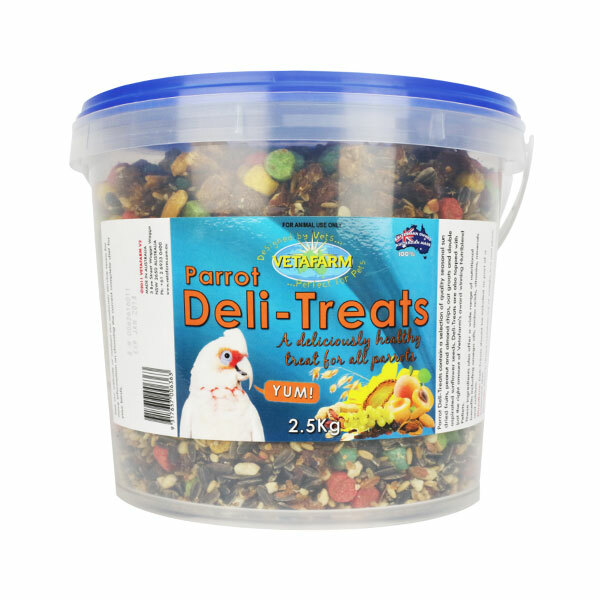 Parrot Deli-Treats are to be used as a reward or treat for birds and should be used in conjunction with a recommended Vetafarm complete diet. 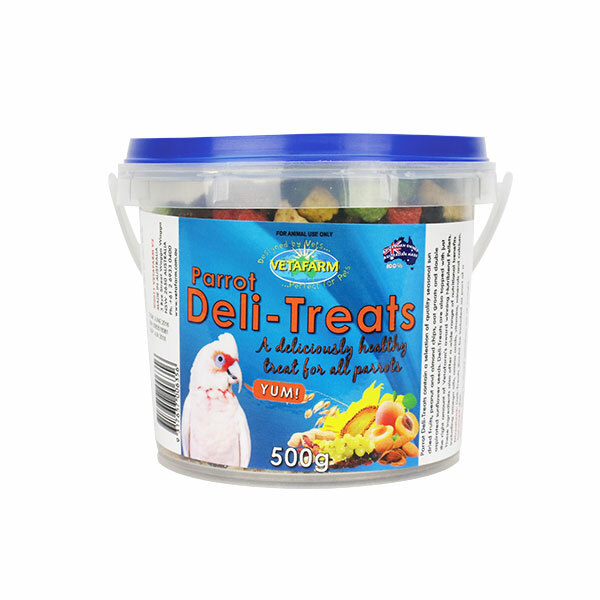 Parrot Deli-Treats contain a selection of quality seasonal sun dried fruits, peanut and almond chips, oat groats and double aspirated sunflower seeds. 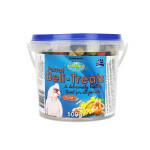 Deli-Treats are also topped with just the right amount of Vetafarm’s award winning Nutriblend Pellets. 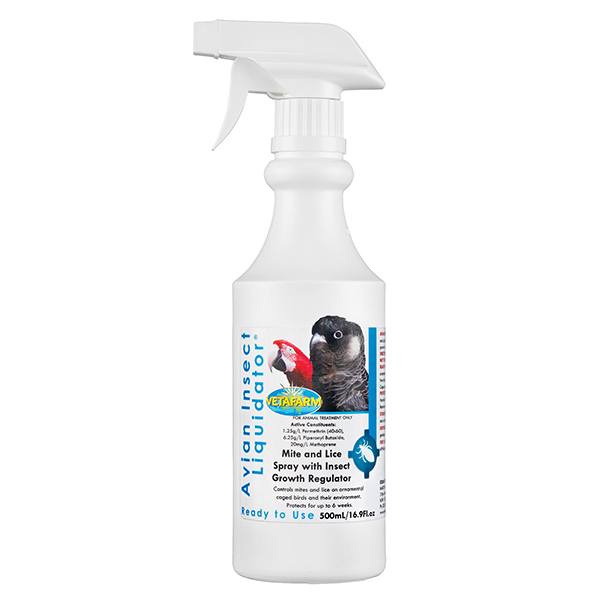 Concentrated or ready to use spray for the control of insects. Completely balanced extruded pellet diet specifically designed to meet the particular dietary needs of pet and breeding eclectus parrots. Fruit flavoured (apple) for an attractive taste. 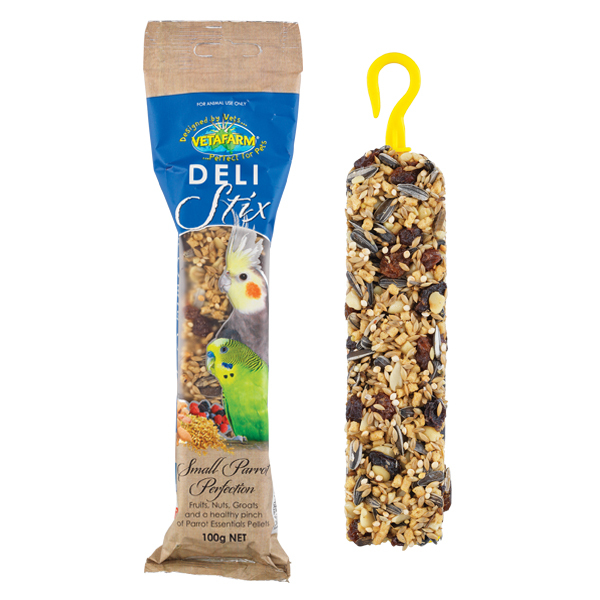 Deli-Stix Small Parrot Perfection is a healthy functional treat for small parrots.